It’s been a while since Spider-Man: Into the Spider-Verse hit theaters, but now that it’s available on Blu-ray and VOD, we’re finally able to chat about it! We knew that for such an important #CageClub movie, we’d need to bring in the heavy hitters… the guys who dedicate their entire podcasts to Marvel movies and comic book movies. Joining us as we thwip, swing, and flip our way through the multiverse are (most of) the hosts of HTML and X is for Podcast, Nico Vasilo, Kevo Risse, and Jonah Rubino! 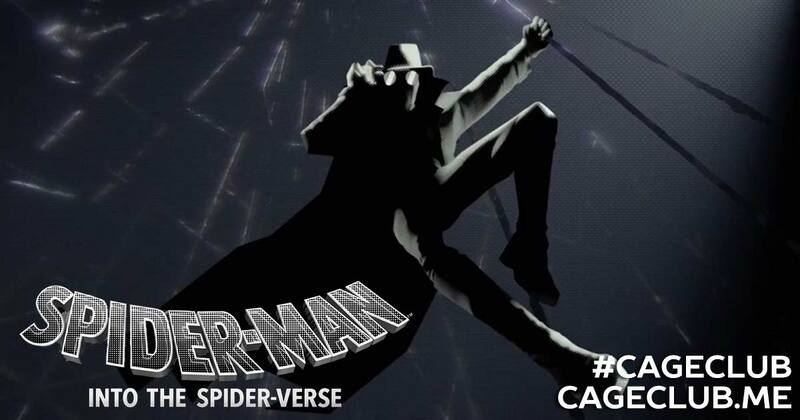 We dive deep into the lore of Spider-Man, discuss our favorite Spidey iterations, and come to the realization that the only correct choice is Spider-Man Noir. Sometimes, we’ll let a match burn down to our fingertips just to feel something. Anything.